Harry Judd: "I spent one night with Lindsay Lohan"
Harry Judd, the Strictly Come Dancing champion and the now clean-cut drummer of McFly has revealed he once had a crazy night Lindsay Lohan. Harry Judd, 25, and Lindsay Lohan, 25, met on the set of movie Just My Luck in 2005 when the boy-band had a cameo in the film. According to Harry Judd, he and LiLo clicked and she invited him back to her hotel room. 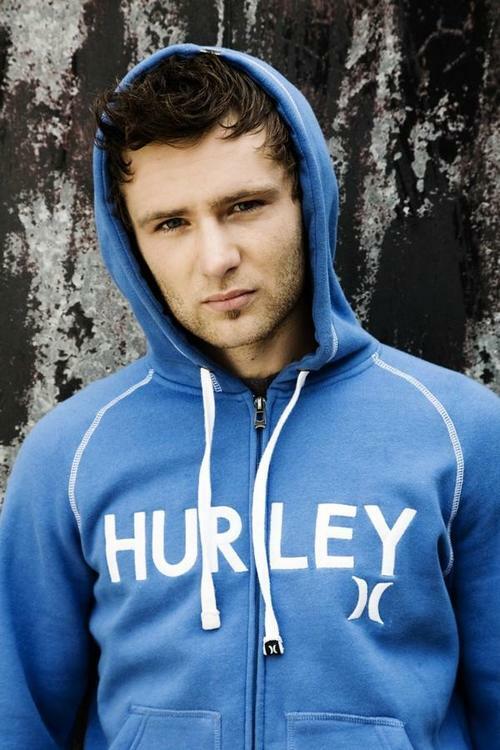 But despite having to do the walk of shame the next day, Harry Judd confesses they didn’t sleep together. “I didn’t s**g her,” the drummer said. However Lindsay Lohan denies the encounter ever happened. Whatever the case, it was certainly an eye opener for Harry Judd, who had attended a posh $30,000-a-year boarding school two years before the alleged incident. Harry Judd does admit to spending McFly’s early days in a drunken haze but has since given up his wild ways. “I stopped drinking last year and that has been a good think for me on Strictly as I’ve had no hangovers and I’ve been really able to focus,” he said. Harry Judd is now completely in love with his long term girlfriend Izzy Johnston and his former rock and roll lifestyle seems a life time ago. Izzy Johnston has been very supportive for him and was at the Strictly final on Saturday night. They met back in 2005 when Izzy Johnston was a member of the string section during McFly’s arena tour. Harry Judd and Izzy Johnston have previously revealed how she was “banned” from speaking to the drummer for the entire tour, but the pair got together during a party to celebrate the end of the tour. Now it looks like Harry Judd may soon pop the big question. “She’s the only girl in the world for me,” he gushed. And, like the Duke and Duchess of Cambridge, Harry Judd and Izzy Johnston split briefly around 18 months into their relationship. Then, after six months apart, Izzy Johnston turned up on his door step in tears. “She was standing there in tears with make-up running down her face,” Harry Judd said.